The University is pleased to be hosting the British Sociological Association’s Annual Conference 2019 from Tuesday 23rd April to Friday 26th April 2019. During this time, there will be limited access to the ground floor of the Saltire Centre for staff and students. The computers and the library service desk on this floor will still be in use over the course of the four days, however, the café and study space will not be available. The ground floor will fully reopen to staff and students as usual on Saturday 27th April. 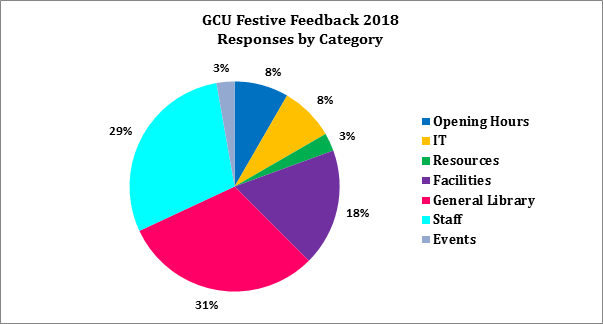 We thought it would good to update you regarding our 2018 festive Feedback campaign, and some of the actions that have taken place in response to your feedback. As with all feedback campaigns, we also look to find areas we can improve on. We received feedback relating to catering, temperature, PC availability, and opening hours. In relation to PC availability, we have a tracker for our computer usage in the Saltire Centre found here. 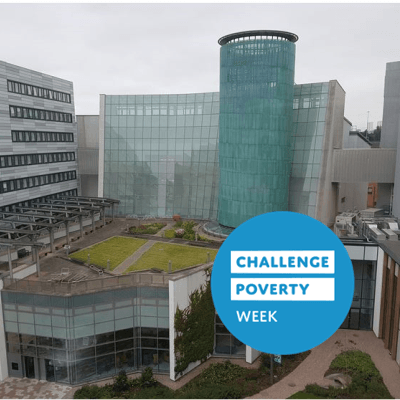 In addition to this, our lapsafe vending machine on level 0 allows you to borrow a laptop for up to 3 hours – ideal if you need to find a quiet area to study, or wish to use one of our bookable study rooms. The library continues to support students with extended opening hours during exam times. This included 24-hour opening from 2nd – 25th January 2019. GCU also offers students access to the 24-hr lab in the Students’ Association building 365 days a year. Comments relating to catering and temperature issues back to our facilities management department, and will continue to liaise with them throughout the year when feedback is received. Please remember that we are happy to listen to your comments at any point throughout the year. Our roving library staff are available on all floors of the library, so should you need any help please don’t hesitate to ask them. Our library desk on level 0 is staffed between 9am and 8pm Monday –Friday, and between 10-6pm at weekends. 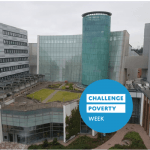 Alternatively you can follow and contact us on Twitter @SaltireCentre, or use our feedback form: https://www.gcu.ac.uk/library/contactus/feedback/. Getting started with CINAHL workshops are running during November in Library Ask & Learn space, Level 1, Saltire Centre. CINAHL (Cumulative Index for Nursing and Allied Health) is an authoritative source within the field of nursing and allied health. The database indexes from more than 3,000 journals and allows you to search using a combination of free text (or keyword) and thesaurus terms (known as CINAHL headings) to produce precise results. It offers functionality to limit to peer review material and link out to full text articles. If you need help to search CINAHL more effectively or have never used CINAHL before, these workshops are for you.